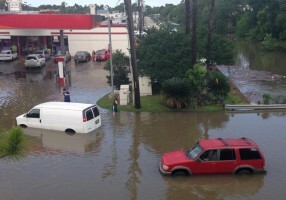 May was a shocking weather month, as tornadoes left debris-scattered paths across the Midwest and record rainfall brought astonishing floods to Texas and Oklahoma. According to the May 15 Denton Record Chronicle, the damage from the severe weather, including flooding and an EF-1 tornado that hit the Denton, Texas, area, was estimated at $10 million. However, as floodwaters recede that number certainly will rise and residents will sift through the debris in hopes of finding memories of their lives. Along with residents, some local governments are facing hard times as employees work long days to assist with the recovery. In Austin, Texas for example, residents have been instructed to call 311 for city assistance with disposing debris, clearing culverts and removing damaged trees. In addition, local governments will have extensive road repairs, endless requests for building permits and piles of paperwork and documentation that comes with federal disaster relief assistance requests. At home, some employees will find themselves in recovery as well. Texas is home to five of the top 10 cities with the greatest population growth from 2013-2014, according to the U.S. Census. As number four on the population growth list, the governments of Austin and surrounding areas have had to grow simultaneously to meet the needs of its citizens, expanding infrastructure, roads and schools. This is the case in several Texas cities, including areas around Austin, Fort Worth, Dallas, Houston and San Antonio. While Texas may be welcoming new residents every day, many Texas cities are facing serious financial problems, borrowing money to keep up with the residential growth. As with the rate of growth, some cities experience the same phenomena with their debt. On Aug. 27, 2014, The Texas Tribune reported that although the population has increased by 18 percent, cities’ “tax-supported debt has grown 78 percent since 2004” and counties’ tax-supported debt has grown by 58 percent. As number two on the list of the top 10 largest states with the highest local debt per capita, the local debt per person is more than $8,000 according to a March 5, 2015, article in The Texas Tribune. That debt could potentially cause even greater problems in recovering from the recent floods. Although the federal government may issue a disaster declaration and offer no less than 75 percent of repairs and restoration, local governments are usually required to match a percentage of the cost. Thus, if local government does not have reserves or has already reached the constitutional debt limits mandated by some state governments, finding funds to complete projects may prove to be difficult. Jonathan Gaddy, director of the Calhoun County Emergency Management Agency in Alabama, became all-too-familiar with FEMA’s public assistance program after Calhoun County was hit by severe weather and tornadoes on April 27, 2011. “FEMA public assistance is a reimbursement program. The local governments have to obligate and expend those funds prior to seeking federal reimbursement,” Gaddy said. However, in the case of Hurricane Katrina, Louisiana, Mississippi and Alabama received a waiver for decreasing cost-share from 25 percent to 10 percent. After the 2009 Des Moines floods, President Obama waived the cost-share for the state of Iowa completely. Lack of cash and reserves to initially begin recovery from a disaster is not the only problem local governments face. When disasters occur, revenue from property taxes, the main source of income for most cities, also may decrease creating further problems for cities with substantial debt. In the case of Hurricane Sandy, many beachfront homes were destroyed, decreasing property value. This impacts the municipality tax revenue. In New Jersey, a 2013 article in the The Star-Ledger reported that the local governments of Ocean and Monmouth counties, which were already suffering from the housing crisis, took an additional $5 billion hit in property tax revenue due to the storm. What’s worse, these two counties rely on tourism dollars for local tax revenue. As rebuilding and recovery begins in Texas, municipalities face a multitude of concerns. However, with its fast growing population, the state has certainly seen its fair share of growing pains. It has learned many valuable lessons about expansion and working together to meet the needs and demands of its citizenry. So as cities start to build and re-build, we might all learn that everything is bigger (and maybe even better) in Texas. Author: Stacey Mann is an assistant professor in the Department of Emergency Management at Jacksonville State University in Alabama. Her research interests include local government emergency planning, employee management during disasters, and risk communication. She can be contacted at [email protected].